The focus of IET is on clearing suppressed cellular memories and emotions (even karmic ones) from the energy anatomy and human energy field. IET is based on a unique cellular memory map in which 9 primary areas of the energy anatomy are identified as storing specific suppressed emotions. These areas are then targeted for clearing. IET hand positions are used on the body to clear these 9 cellular memory areas. An attribute of IET is that it is a quick and powerful method for clearing energy blockages in the 9 sets of Integration Power Points. Integration power points are acupressure like points which when activated by the IET energy vibration trigger the quick and easy release of even the most suppressed cellular memories and emotions. What is an IET Session? An IET session is a powerfully healing experience. The session takes place with a client relaxed and fully clothed on a massage table. Healing energy is then directed into specific areas of the body through a series of gentle hand placements. This energy helps clear any blockages we may have in the physical, mental, emotional and spiritual/karmic layers of the body. The client will experience a deep state of relaxation during the session and leave feeling refreshed and rejuvenated. Many people have a sense of inner peace and feel “lighter.” This treatment is available for people of all ages and for pets as well! Clients often comment on how much clearing happens in an IET session. They also comment on how gentle it is. The focus of IET is clearing the trauma without the drama. Furthermore, unlike some energy therapy techniques, whatever is brought to the surface for clearing is cleared immediately in the session. The client does not have to go home after the session and spend days processing the trauma that was brought up. In general clients feel happy, light, and free after an IET session. The power of the IET system quickly moves them through where they were stuck. An IET session can provide wonderful diagnostic information to a client. A Basic Level IET practitioner can inform a client of the exact suppressed emotions that were cleared in a session and an Intermediate Level IET practitioner can tell a client what each suppressed emotion was due to (physical, emotional, mental or karmic trauma). Clients find this very useful in understanding their healing journey. The true measure of any energy therapy technique is not only what happens in the energy therapy session but also what happens in the client’s life after the session. Based on the effect IET has had on so many clients, you could call the IET process transformative. 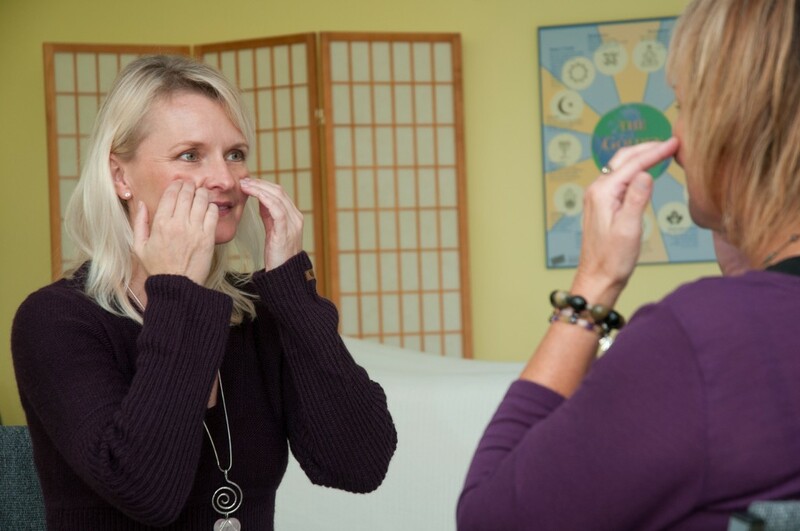 IET classes are powerful days of self-healing and energy therapy certification training. In each class, you will be attuned to a powerful angelic energy ray. You will then learn how to heartlink to the energy of your angels and use their energy for healing. You will learn how each primary human emotion is correlated to a specific physical region of the body and human energy field (cellular memory map), as well as, how to use the IET integration power points to clear them. Through the IET classes you will be taught how to feel and interpret energy flow, clear energy patterns in yourself and others, and unlock your soul’s purpose. Anyone can learn IET! There is no prior energy therapy training experience necessary to take our Basic Level training class. In addition to the Basic, Intermediate and Advanced Levels, we have added an IET Master-Instructor Level training class.